Welcome to United Kingdom Education Centre (UKEC) Academy! 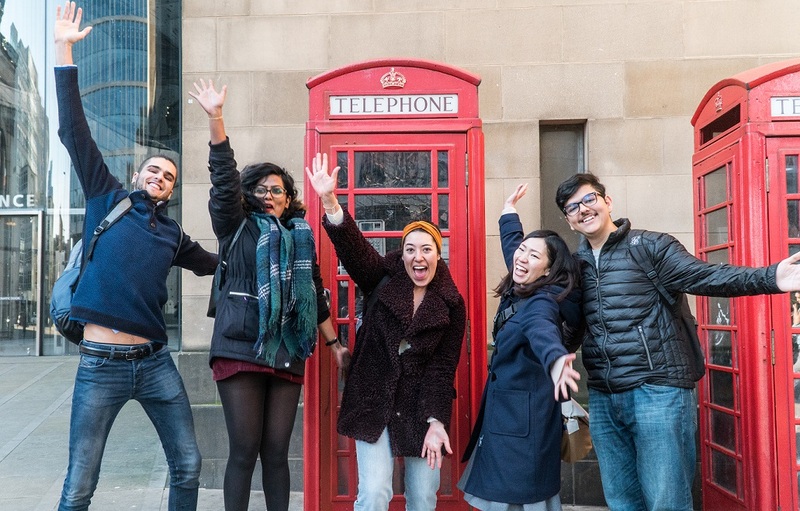 We are a vibrant, British Council accredited English language school offering high-quality English language courses in Manchester city centre. For over 15 years we have operated as Excel College English & IELTS Academy but at the start of 2019 have changed our name to UKEC Academy! During the last 15 years we have welcomed international students from all over the world to study English and during that time have built an excellent reputation for quality teaching, exam success and a very friendly welcome. We also offer a free university application service to students looking to study a course at university in the UK. Our General English courses will help you to develop all of your English skills. You will improve your speaking, reading, writing and listening ability as well as learning new grammar and vocabulary. Our classes will help you to communicate more confidently in English and give you the tools to deal with real life situations in English . You can study General English on a part time, full time or intensive course. We have courses from beginner level to advanced starting every week of the year. Our exam preparation classes will help you to improve your English and your exam strategy. We can help you prepare for IELTS, Trinity (GESE and ISE) and Cambridge exams (FCE, CAE, CPE). You can start a course with us any week of the year. We have part time, full time and intensive courses available. If you're looking for a group course with a specific focus such as Medical English, Legal English or Business English, talk to us about our tailored courses. We can create a course to suit your available time, budget and class size. It was a good experience for me . Because all the teachers are very friendly and there explanations were very good.In addition, Mr.Josh was the second best player after me in table tennis, you can have fun with him. I'm really sad to leave this college. Rachel, my English teacher was very good and my classmate very friendly. To sum up it was a great time! Excel Collage is located in the city centre, it has qualified teachers who are expert and they can help you to rise your level. Also, workers are very cooperative with the students . There are a lot of activities in the College specified for the students. Such a good College in Manchester! They locate in the city centre, 2 minutes walk from Oxford Road Station. The principle and his team are so cool. I improved a lot my fluency and pronunciation which I have expected. Josh helped me to find a family for home stay and they are just wonderful. Thank you Excel College! I started my course in September and I am glad to have this experience in a school of Manchester! The atmosphere in Excel College is wonderful and friendly. The teachers and receptionists are fabulous and available for any problems! I am happy to enjoy the rest of my study way!